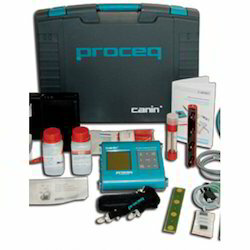 We are offering a wide range Concrete Non Destructive Testing Equipment to our clients. 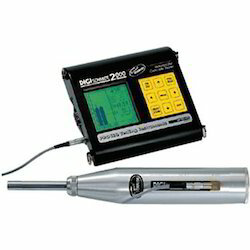 Offered products range in which includes Digi Schmidt 2000, Corrosion Analyzing Instrument and Concrete Test Hammer. Used for the purpose of analyzing the corrosive nature of various materials, the Corrosion Analyzing Instrument is known to be one of the finest options available. Offered in the market at the best rate possible, the product is highly appreciated and asked for. 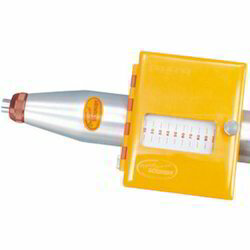 In addition to this, the instrument is widely known for its user friendliness, high sturdiness and precise engineering. 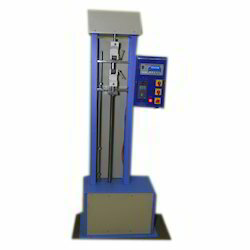 We are counted amongst the leading exporter and suppliers of a commendable range of Schmidt Concrete Test Hammer. Manufactured as per the set industrial norms and guidelines, its quality never deteriorates. For the purpose of providing the best, the highest grade of raw materials and modern technology is used in its manufacture. In addition, the range is marked at a market leading rate. Manufactured as per the set industrial guidelines, quality of this Silver Concrete Test Hammer never deteriorates. Owing to the highest grade of raw materials and modern machines used in its manufacture, its quality never deteriorates. In addition, the reasonably priced products offer praiseworthy functionality, high accuracy and a commendable durability. 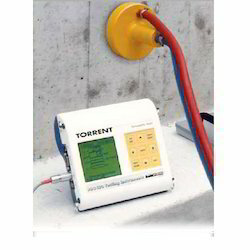 Optional resistance Wenner-probe to correct the influence of concrete moisture is available. Offered to clients at a market leading rate, the offered Digi Schmidt 2000 is known to be one of the primary preferences in the market. Manufactured using the finest raw materials and modern technology, the functionality it provides is highly commendable. Further, this product is highly acclaimed for its user-friendly nature and its superior functional life. 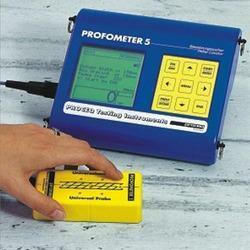 With a highly user friendly control panel and a commendable display, the offered Profometer Rebar Detection System is one of the primary choices in the market. Owing to the finest raw materials and modern technology applied in its making, it provides optimal functionality and has a longer functional life. In addition, it is offered at the best rate possible. 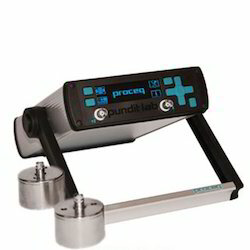 Remote control: An USB connection and the Pundit Link application allow full remote control of all features of the ultrasonic test equipment Pundit Lab. Multiple Power Supply Options: The ultrasonic test equipment Pundit Lab runs on battery supply, mains supply via AC adaptor and can also be powered from a PC via the USB connection. Wide range of transducers: The ultrasonic test equipment Pundit Lab supports a wide range of transducers from 24 kHz up to 500 kHz, making it suitable not only for concrete and rock, but also for other materials such as graphite, ceramics, woods, etc.